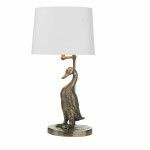 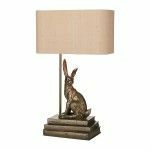 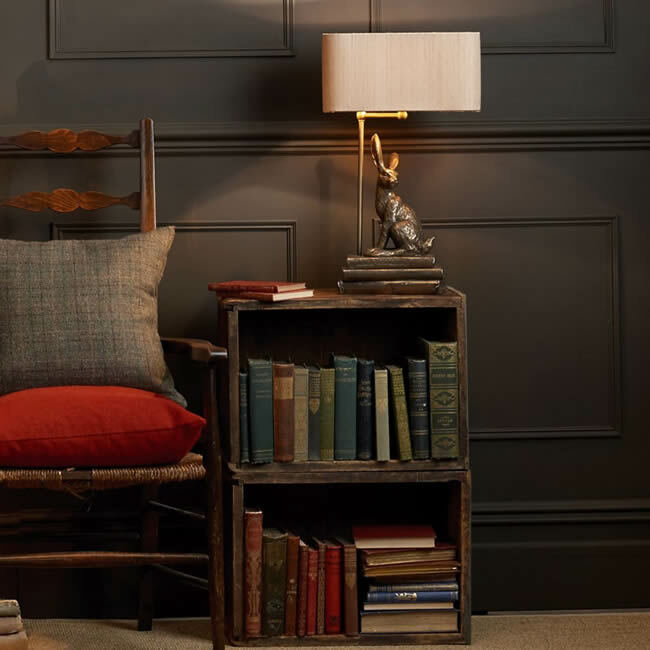 Hopper table lamp features a beautiful hand made bronze hare sitting majestically on a stack of books. 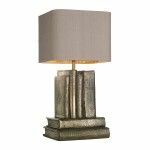 This highly detailed table lamp base has a stunning array of finishing touches, including pages and text from the books which are visible on the resin lamp base. 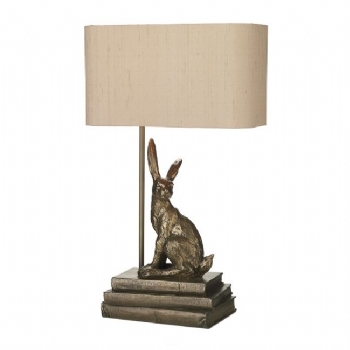 This beautiful hare is lovingly created to order by hand in the Cotswolds. Pictured with taupe 100% silk shade, sold seperatley. 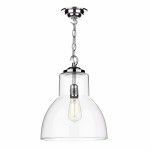 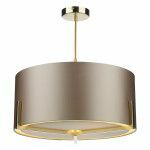 The pictured shade can be ordered in your choice of silk outer fabric and bespoke laminate lining to complete a personalised focal point to any room. 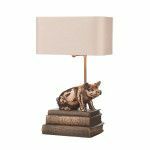 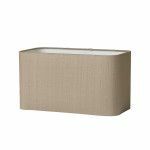 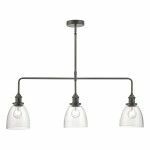 We reccomend either a bronze or gold laminate lining as this adds to the warm feel and highlights the accents of the table lamp base perfectly. 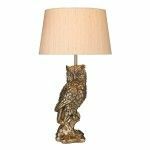 WOULD YOU LIKE TO SEE MORE OF THE STUNNING DETAIL ON THIS LAMP? 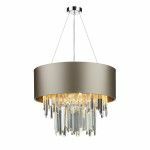 CHECK OUT OUR VIDEO!